Hey Guys, Wanna See Some Raw Emotion? 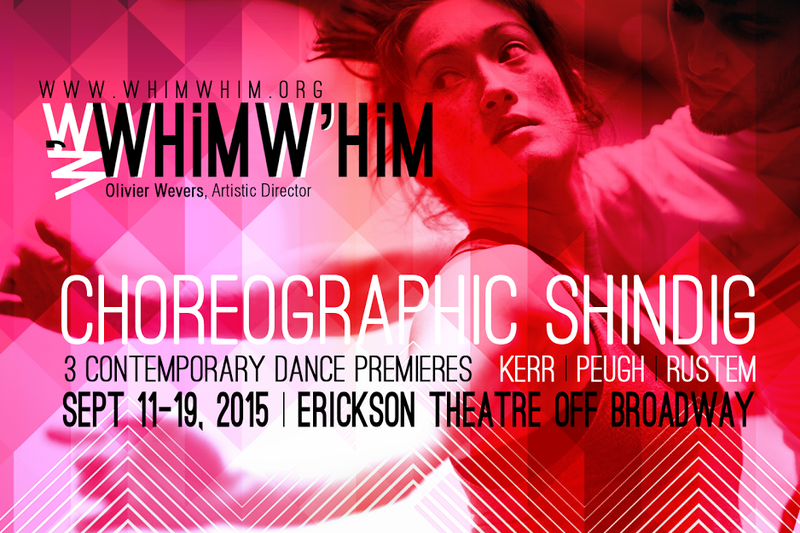 I’ve been given the gift of getting to know the Whim W’Him Dance Company on an intimate level. They have been gracious enough to invite me into their rehearsal space, and been brave enough to let me watch them create, explore and inspire, and every time I go, I am never quite ready for how profoundly they move me. The rehearsal I saw was for Artistic Director, Olivier Wevers’new creation: A Disagreeable Tale of Duplicity. People, the Maestro has outdone himself with this piece, and I was blown away by what I saw, because what he has created is 100% pure raw emotion. It’s haunting and stunning at the same time, and that was before it was fully cleaned, fully developed, and fully ready for an audience. I can’t even imagine how breathtaking and heartbreaking the final work will be, but I can’t wait to find out. 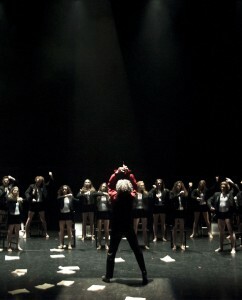 I don’t want to give away too much, but I really want to talk to you about the bravery of The Maestro and his dancers. This piece feels very personal, as it takes on the theme of love, both found and lost, and the impact both can have on a person as they wander, both happily and torturously through the garden that love grows. The Maestro has cut himself open with his choreography, and is bleeding all over the stage with complete artistic abandon. His characters beautifully and fully developed, his story hauntingly clear, his genius alive and all encompassing…you do not want to miss this! But a choreographer’s vision can only go so far if he or she does not have dancers willing to go there as well. And by there, I mean complete and utter vulnerability and courage. And for this story to work, it needs a brave and charismatic anchor, and The Maestro has that in the beautiful, powerful and brilliant Tory Peil. This artist, because that is what she is! This artist physically embodies dance, and on top of her impeccable technique and stunning lines, this chick has the ability to sink so deeply into a character that you completely lose the dancer and just, quite literally feel the dance. Without a doubt you will see and feel whatever she desires that you see and feel because she has your very soul in the palm of her hand, and with every flick of her gorgeous feet, every deep exhale of her powerful breath, and every nuance of her body, you will be pushed to your emotional limits. And in this piece, she takes you on an emotional journey so raw, so real, vulgar at times and excruciatingly tender at others, that I guarantee you will not be the same person you were when you walked in to the Cornish Playhouse to see this show. She brought tears to my eyes during a rehearsal and I had to fight to keep from ugly girl crying right there, and I fear that she is going to make me sob come opening night, and I eagerly anticipate the cleansing! Ms. Peil is surrounded by the rest of the WWDC dancers, and the company all play a part in her journey, some driving her story, some affecting it, some torturing it, and others helping her through it. But regardless of their role, each and every one of them provide a foundation by which Ms. Peil can fully let go, fully immerse herself into this story the Maestro has created on her, because her company fully has her supported and the trust between them all is simply beautiful to behold. I’d love to go into details, but trust me, you don’t want me to spoil it. You want to experience this brilliance and bravery for yourself. This show is not one to be missed, so please, please, please join me for this performance! Me and my darling +1 will be there on June 3rd, opening night, and I would very much like to experience it with all of you as well!! Won’t you join us??!!?!!?! Show time and ticket information can be found on Whim W’Him’s website, so please give yourself the gift of pure art, and join me in celebrating dance in Seattle! family a gigantic Merde! I will be there cheering you on opening night, and look forward to the art that only you can create! Seattle Ballet Legend, Patricia Barker, Is Back! When you think of ballet in Seattle, one name is sure to immediately jump into your mind: Patricia Barker. Seattleites were blessed with the gift of having Ms. Barker on the stage at the Pacific Northwest Ballet for 27 glorious years, reveling in her journey as a fast rising star from her early days with the company to growing into an iconic ballet goddess. I’m sure I speak for all of her fans when I say our hearts broke a bit when we had to say goodbye to her in 2007 when she hung up her toe shoes and retired from performing. Well, let the healing begin, because the legend is back, people! 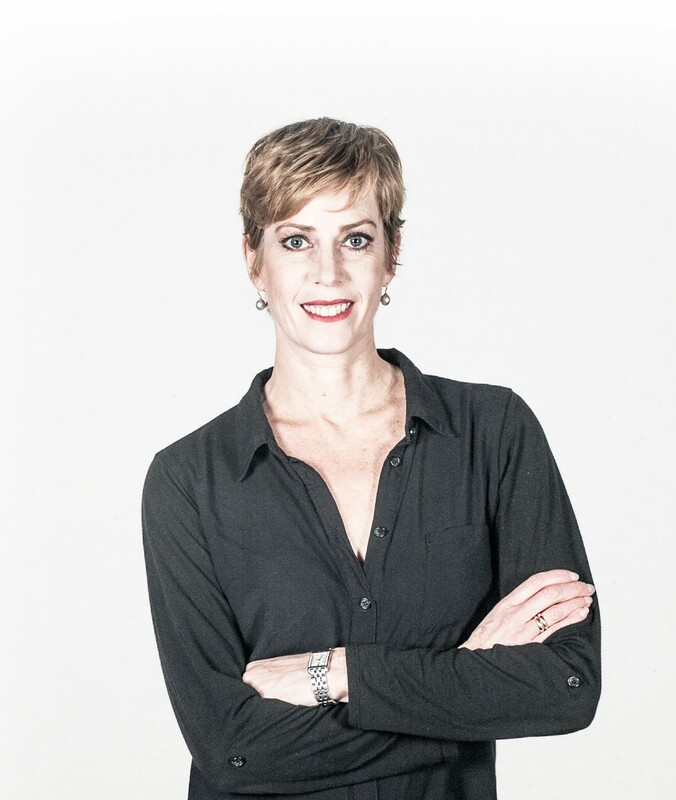 Patricia Barker is coming back to Seattle next week with Grand Rapids Ballet in a role we’ve never seen from her before in the Northwest: Artistic Director! Collaboration was always evident with Ms. Barker as a performer, bringing to life one captivating role after another, so I’m not surprised at all that she continues this tradition of bar raising excellence as an Artistic Director. You would see Ms. Barker dance iconic roles like Odette or Titania, and know that you’d never see it quite like that on any other dancer. There was a consistent strength, connection, and unique sense of style in her movement that could never be replicated. Patricia Barker had a resounding voice as a performer, and I’ve no doubt she’s instructing and inspiring the Grand Rapids Ballet dancers to find their own voices within their movement and to, if you’ll indulge the metaphor, harmonize beautifully with all the choreographers who show up to create new works with them. It’s those collaborations that Seattle audiences are finally going to get to see when Grand Rapids Ballet arrives next week to perform works by five internationally renowned choreographers, in two parts, over a five-day extravaganza of creativity and passion. First up will be A Midsummer Night’s Dream, choreographed by Olivier Wevers, Artistic Director of my favorite Seattle-based Dance Company, Whim W’Him. It’s no secret I’m a huge fan of Mr. Wevers, and a proud ‘Whimmer’ (which is the name they have adorably given us supporters of their company), but I have been a fan since I saw him dance, alongside Ms. Barker, in many ballets at the Pacific Northwest Ballet. Knowing that he is a part of Ms. Barker’s return to Seattle just makes me all the more excited for her production to arrive! This is not the first time Mr. Wevers and Ms. Barker have collaborated on this story as they danced it many times together at Pacific Northwest Ballet. So, for Ms. Barker to commission Mr. Wevers to choreograph a completely new version on her company seems like a match made in heaven. 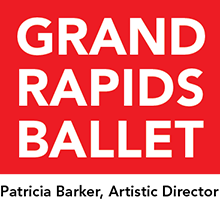 Mr. Wevers and Ms. Barker have collaborated during her time at Grand Rapids Ballet twice before Midsummer, but this is the first full length piece Mr. Wevers has done for her. Patricia and I constantly exchange ideas with each other. She is willing to take risks, and I love working with her because she truly sees the future of dance. Two of my favorite PNB dancers of all time joining forces again, this time as the creative genius team reinventing one of my favorite stories makes me so happy, I can’t even tell you! Barker meets Wevers meets Shakespeare? A holy trinity of creativity, if ever there was one, and my jubilation level of anticipation is through the roof! So, what can we expect with this modern Midsummer? From Ms. Barker herself, we can expect mesmerizing movement and sophisticated humor. I had the pleasure of discussing this piece with Mr. Wevers tonight, and the concept and design are so fascinating, so intriguing and new, I cannot wait to see his vision come to life! I don’t want to say too much, because spoiler alerts are never fun, but one view of the teaser video, reinforces that this ain’t your grandmother’s Midsummer! No, this is, in fact, a modern, whimsical spin told from the perspective of the young changeling boy Oberon and Titania fight over throughout the story. A character, if you have never seen the play staged, that often gets overlooked and ignored based on the way Shakespeare wrote it. Mr. Wevers, however, has merged the changeling boy with the character of Nick Bottom giving this character a new voice and a unique journey from inside the imagination of a young child as his dreams of his adult self come to life. Mind already blown, and I havne’t even seen it yet! 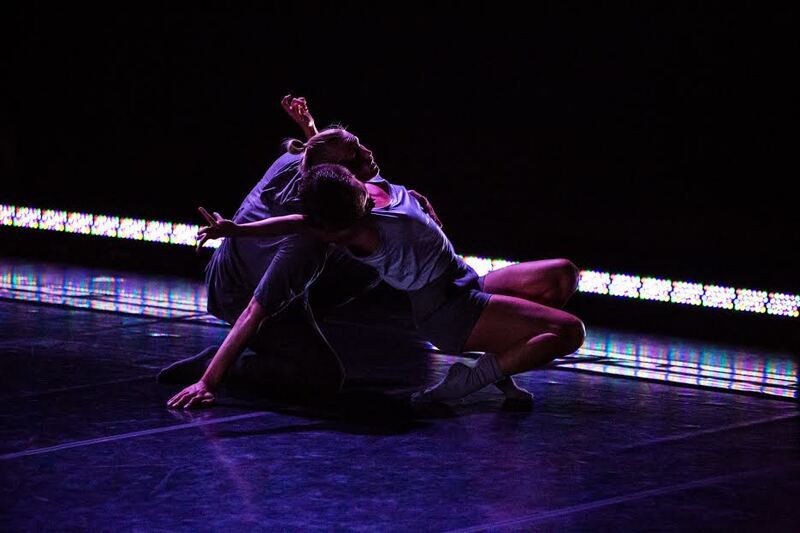 Set on the backdrop of America politics with lighting by the brilliant Michael Mazzola (Wevers and Mazzola are a dream team as you’ll recall from my review of Whim W’him’s 2015 Choreographic Shindig), this is going to be an extraordinary piece you will not want to miss! This audience member cannot wait to have the energy and creativity spill over the footlights into the Cornish Theatre, and you should all join me! 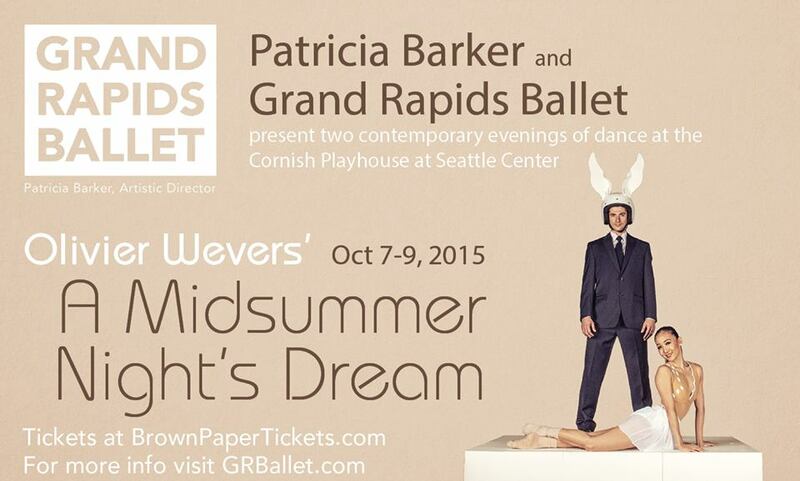 A Midsummer Night’s Dream plays Oct 7-9, 2015 at the Cornish Playhouse, and you can get tickets on Brownpaper Tickets. “It was important to me to not only pick ballets that Seattle will enjoy but also ballets that represent our inventiveness as a company. The first ballet in the program is Slight by Penny Saunders. Coming from Hubbard Street, Penny had a lot of fun experimenting with light and shadows, creating a fully immersive experience. 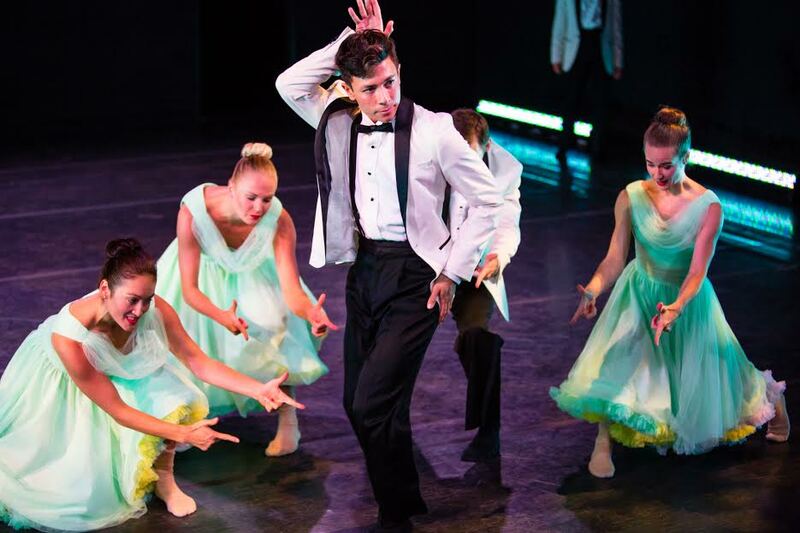 Our next ballet, Mario Radacovsky’s Beethoven, premiered on our stage last season to audience acclaim. In the middle of the ballet, there is a powerful orchestra section, interpreted through dance, which speaks volumes to the genius of Beethoven. Annabelle Lopez Ochoa is a star in the dance world. When WRITTEN & FORGOTTEN premiered in Grand Rapids, audience members left the theatre dancing down the aisles. Her ability to discuss the human journey through dance is something I feel privileged to share with audiences in Seattle. 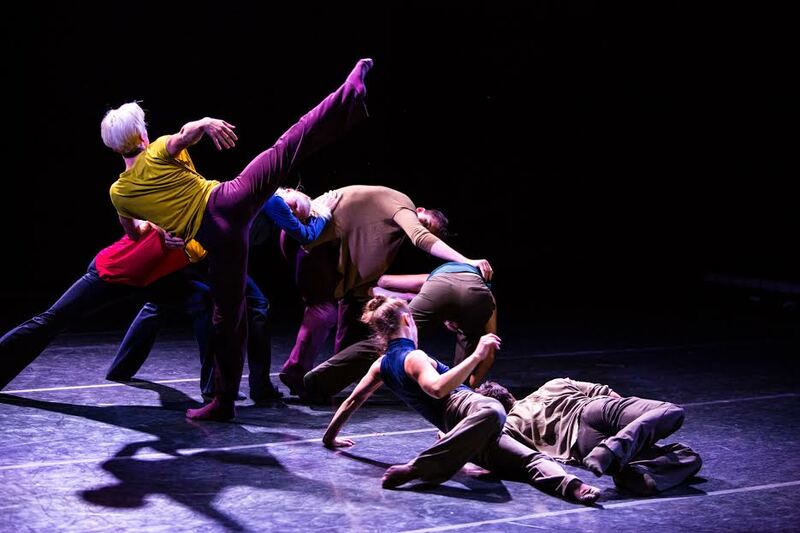 This will be my first exposure to these four choreographers, but based on the delicious way Ms. Barker described these pieces, I think my fellow Seattle dance enthusiasts and I are in for quite a treat! MOVEMEDIA | Seattle plays Oct 10-11, also at the Cornish Playhouse, and tickets can be purchased at Brownpaper Tickets. Take a look at the teaser video of this amazing body of work! Born and raised in Washington State, Seattle was Ms. Barker’s home for a long time and it holds a special place in her heart. She returns to Seattle to share with us the work she’s done with Grand Rapids Ballet, and also seems quite excited to share Seattle with her company of dancers. I have absolutely no doubt that this will not only be a successful introduction, but will be the start of a beautiful, life-long friendship between our great city and the exquisite ballet company of Grand Rapids, all thanks to the legendary creativity and vision of Ms. Patricia Barker who so graciously and enthusiastically is bringing her passion to share with us. And I, for one, am humbled and honored to be a part of it. Please don’t miss this incredible opportunity to watch Grand Rapids Ballet perform in Seattle for the very first time. Welcome home, Ms. Barker. We’ve missed you!